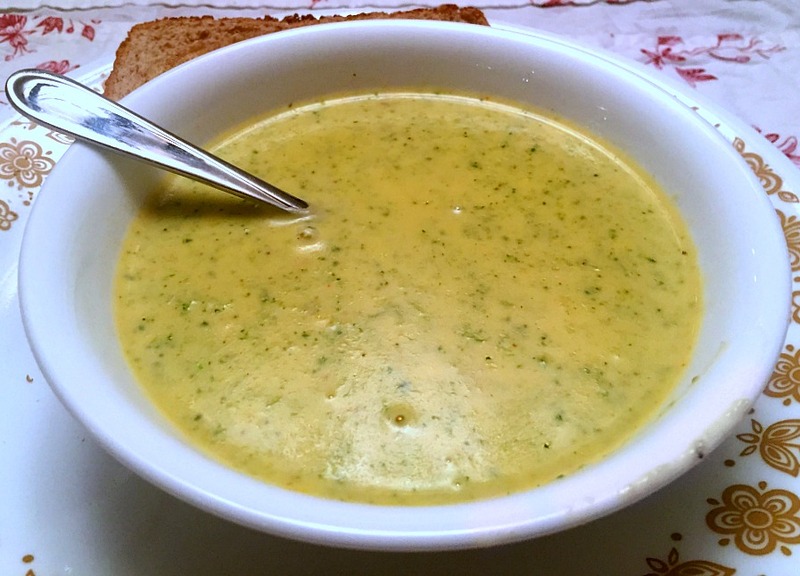 After somehow accumulating a fridge full of broccoli, making a big pot of broccoli cheddar soup seemed to be a good course of action. This version is bulked up with some butternut squash. Serve it with a bit of crusty bread and you’ve got a full meal. Melt the butter in a Dutch oven or other large pot. Saute the onion in the butter until soft, then whisk in the flour. Whisk in the milk and chicken broth or stock; add the butternut squash, nutmeg, cayenne pepper and salt. Bring to a boil and let simmer for 20 minutes or until the broth is thickened and the squash is beginning to soften. Add the broccoli and continue to simmer for another 20 minutes. Once the broccoli is cooked, carefully puree the soup with an immersion blender (or in batches in a regular blender). Puree it to the consistency of your choice — if you want to leave some chunks of vegetables you can, or you can go for a totally smooth consistency. Add the cheese and stir until melted, thinning with water if necessary. Season with some more salt (and cayenne if you’d like) and serve with crusty bread. Serves 4-6. Posted in Recipes, Soups, Salads & Dressings and tagged Soups.